This project made possible through a HUD Community Development Block Grant (CDBG). 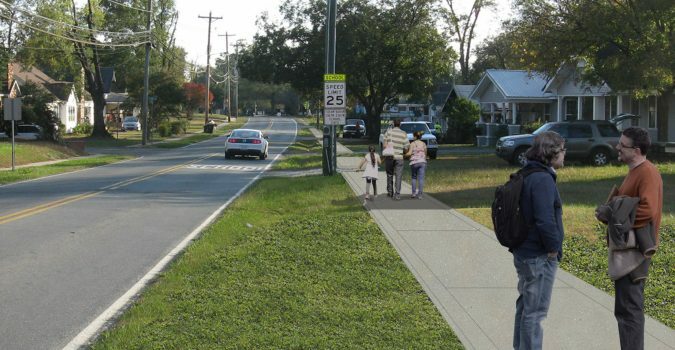 Joining a community with walkable, pedestrian-friendly connections can have long-lasting impacts. Union County, North Carolina has been identified as an entitlement community under the CDBG program, administered by the Department of Housing and Urban Development. The City of Monroe has partnered with Union County Government to develop projects under the block grant program that are designed to improve community facilities. 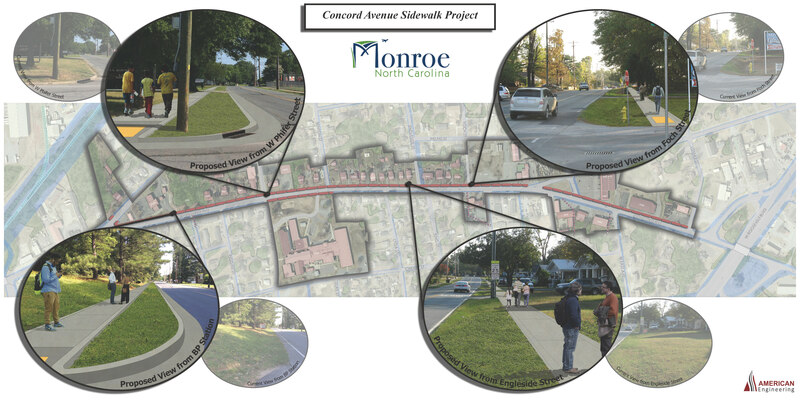 One of the projects that have been identified to be funded under the program is the Concord Avenue Sidewalk Improvements. 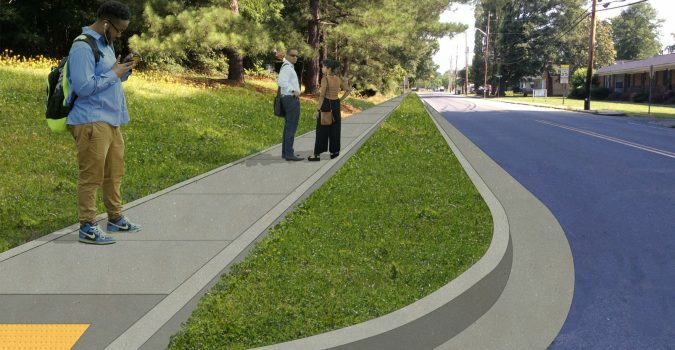 The proposal is to construct a new sidewalk on the west side of Concord Avenue, from Charlotte Avenue to Lomax Street. 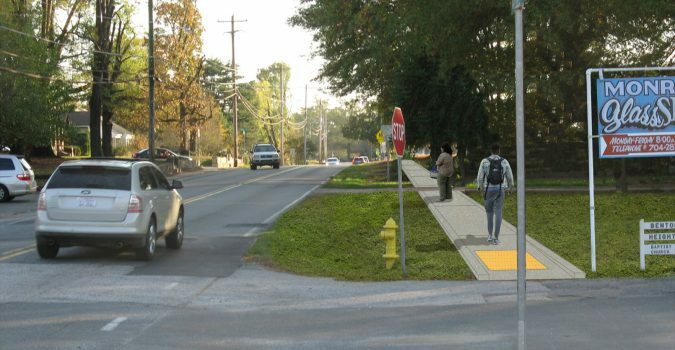 The project will improve pedestrian access and safety to various destinations along the corridor including Benton Heights Elementary. As part of the planning and designs for the improvements, American Engineering developed a series of options and let community outreach meetings to obtain feedback.